Boston Food Bloggers: Chanukah Round-Up: Latke Recipes Galore! 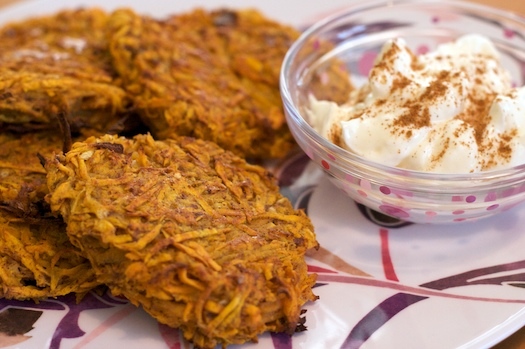 Chanukah Round-Up: Latke Recipes Galore! Yeah, it caught me off-guard this year, too. In any case, here's a round-up of your delightful latke recipes! There are few things more wonderful than fried potatoes. Scroll down to the end to see a few non-latke recipes. Most of these are actually from past years as it doesn't look like too many Chanukah posts have popped up yet this year, but if you do post something later this week, let me know so I can add it to the round-up! First, I want to highlight Kosher Blog, which gives us a bit of lesser known Chanukah trivia in addition to recipes. "Most Jews are aware of the custom to eat fried foods on Chanukah, in commemoration of the miracle of the oil related in the Talmud," writes 'elf' in a 2005 post. "Far fewer are familiar with the custom of eating dairy products, especially cheese...the cheese eaten on Chanukah recalls the milk that the heroine Judith served to a Greek general (presumably during the Hasmonean revolt) in order to make him sleepy and give her the opportunity to put him to death." Whoa! That's not included in the Chanukah story I know. Anyway, that post continues with a lovely recipe for cheese latkes (zeesih kaese latkes) that includes one pound of cottage, pot, or ricotta cheese. 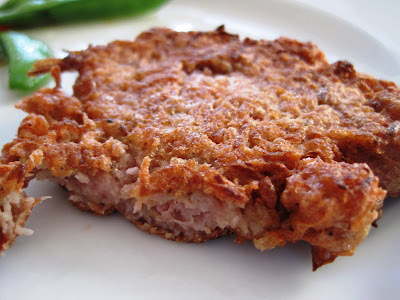 Kosher Blog also provides a potato latke master recipe and even suggests frying them in duck fat. Baked Latkes (Erin Cooks) - not fried! By the way, if you fill out this form, you can give me permission, in advance, to feature your photos in round-ups like these.